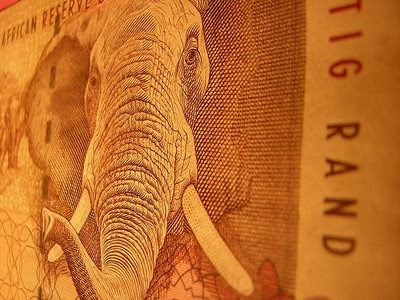 Comment: With the prime interest rate still lingering at 12%, the SARB is currently only 1.5% behind what a rough Taylor estimate suggests should be the interest rate level TODAY. Financial markets today are discounting even lower rates later on this year, which isn’t unrealistic according to Taylor if the actual CPI inflation rate drops below 6% and the other 2010 assumptions about inflation and the output gap continue to apply. But it will be up to the SARB to make the final call on the risks facing us, especially external financial ones and cost push domestic want."